A sidelifter is a specialised vehicle or semi-trailer used to hoist and transport ISO standard intermodal containers over longer distances. 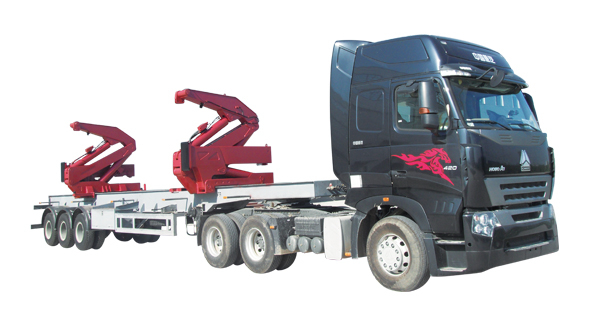 The sidelifter loads and unloads containers via a pair of hydraulic powered cranes mounted at each end of the vehicle chassis. The cranes are designed to lift containers from the ground, from other vehicles including rolling stock, from railway wagons and directly from stacks on docks or aboard container ships. A standard sidelifter is also able to stack a container at a two containers' height on the ground. If the sidelifter chassis is of 40' length or more, the cranes of the sidelifter can be shifted hydraulically along the sidelifter chassis to be able to pick up either one 20', one 40', or two 20' ISO containers at a time. As the Sidelifter is suitable for travelling on general roads for large distances and able to quickly load and unload without additional equipment, it is often used for delivering and picking up shipping containers from within a commercial district. Although these can self load, they are more often loaded or unloaded at the port with a straddle carrier or reach stacker. The side cranes matched with the vehicle can lift and transport both 20’ and 40’ containers. 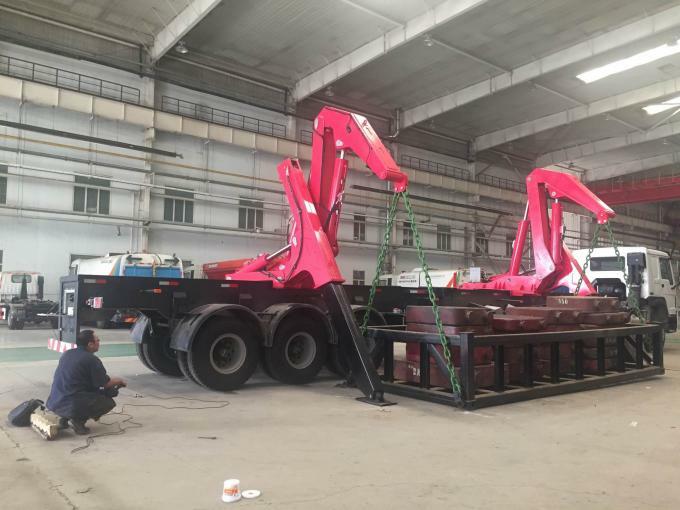 It is an ideal lifting equipment used in the port, station, which can improve the working efficiency and reduce the worker’s labour. For the crane can move forwards and backwards, so it can lift both 20' and 40' container. With wireless remotore control system, the controller is imported from famous brand, simple operation and reliable sightly movement. The manual operation is still kept for emergency situation. The solenoid proportional valve is imported, operated accurately. With Intelligient safety protection system, the dangerous operation will be cut off intelligently.